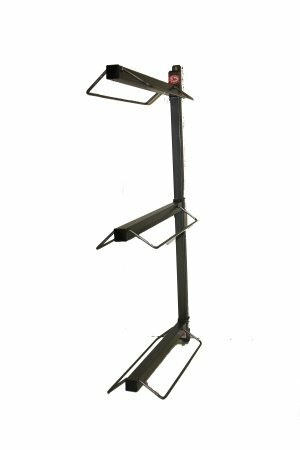 This saddle rack attaches & detaches easily from the wall. Light & portable which makes it easy for your home tack room or your mobile tack shop. Great for Western or English saddles. *Comes with 3 fully adjustable saddles.